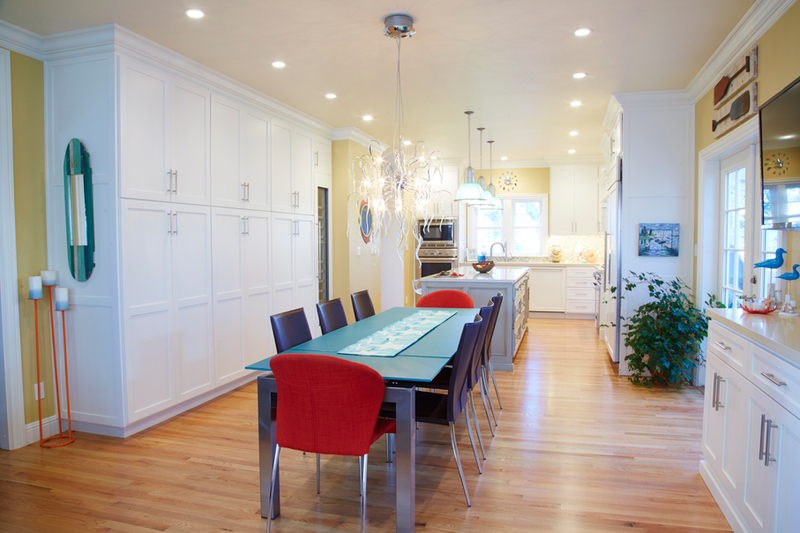 The client, a very active and social couple who enjoys entertaining wanted to expand their kitchen and dining area by adding 200 sf to connect the two story Victorian-style residence to its detached one-story garage, approximately 15 feet away. After numerous studies, we talked them out if it! Instead we renovated half of the lower level interior involving the kitchen, dining area and sitting area by adding a bay window niche and changing the sequence of the spaces. This allowed the homeowners to spend their budget on high-end appliances and cabinets, which was a priority.